Thank you to Xfinity for sponsoring this post. All opinions are my own. Shortly after our Halloween shenanigans, we started planning our Thanksgiving festivities. Talk about getting excited about the holiday season, right? Well, with a family of my size, we must plan things well in advance. Thanksgiving is one of my favorite holidays because all my siblings are off from work and we finally have a break to spend time together. Each year, we get together at my parents’ house to celebrate. We have lots of food and listen to music while enjoying each other’s company. When we’re not spending time together in person, you can bet we are connecting wirelessly through our mobile phones. We have several group chats with each other across various messaging apps where we can catch up with each other every day. We’re able to have video chats, keep each other updated on the latest news, tell jokes and send endless GIFS. I am definitely thankful for the convenience of technology and how it has allowed us to stay connected as a family. I love that we can share all the amazing things we are doing in an instant. For those of you who celebrate the holidays with gifts, do you know how to find the perfect technology gifts for your loved ones? There are so many great options available through Xfinity to make your family talk-time convenient and effortless. Look no further than Xfinity Mobile. Xfinity Mobile is a hybrid mobile solution as it combines Xfinity WiFi hotspots with America’s largest 4G LTE network. As an Xfinity Internet subscriber, you can get up to five lines of UNLIMITED nationwide talk and text through Xfinity Mobile at no extra cost. All you pay for is data. Xfinity Mobile provides additional value by being able to use Xfinity WiFi hotspots for data, too. You can even customize your payment plan per line and per person based on usage! In the past, we’ve definitely struggled with this with other companies. Some of us didn’t need as much data as others and yet we were all being charged in the same way– not cool. With Xfinity, you can also pay for data in two ways: by the Gig or Unlimited. It’s also an easy switch between the two. Another feature which makes switching to Xfinity an effortless process for your loved ones is keeping your current phone number. 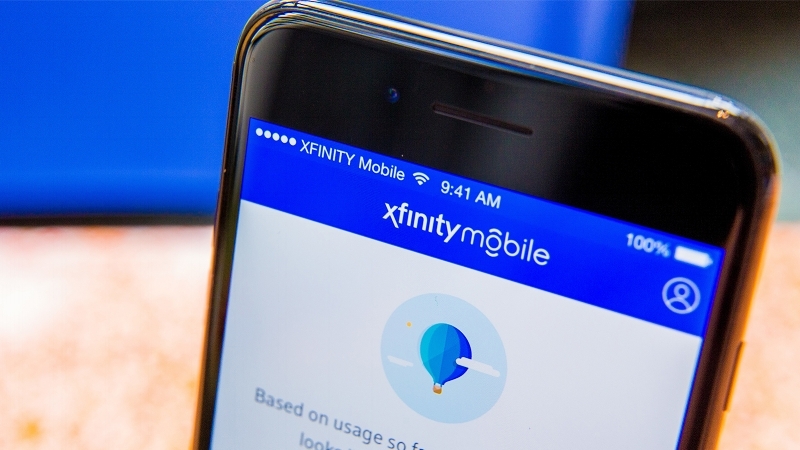 When switching to Xfinity Mobile, simply visit your local Xfinity Store where they will initiate the porting of your cell phone number from your current provider to Xfinity Mobile. Be sure to have a copy of your most recent wireless bill when you visit, too, to make the transition swiftly. The holiday season is the perfect time to enhance you or your loved one’s mobile device experience! Re-evaluate your mobile plan this season and stay connected with your families this season. What are some of your favorite technology gifts? Learn more about Xfinity Mobile and check out their latest deals here.